Is Your Nest Feeling Empty? I'm Here to Help You Turn it Into a Nest Egg. 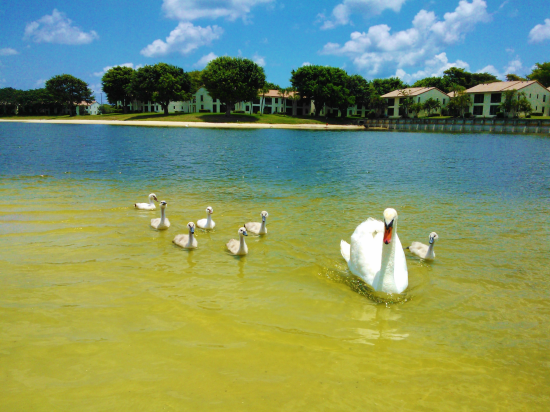 These baby swans have flown the nest at Lake Windwood in Boca Raton, steps from our villa in East Boca. If you're considering a change, now may be a good time. You may be surprised at your home's value. There is ample demand from growing families for homes in West Boca school zones in zipcodes 33498, 33496, and 33428, among others. Contact me for a no-obligation consultation about your home's value and your next home search. We know the feeling. Our son has moved off to Gainesville to study at University of Florida, and our daughter is already well into her studies here at Florida Atlantic University in Boca Raton. We have chosen to live in a villa in Windwood, right next to FAU. If you would like to see my blog on Windwood, click here. 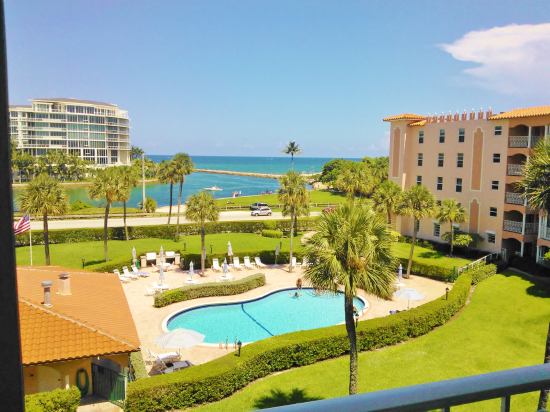 We very much enjoy being minutes from the excellent beaches in Boca Raton, Mizner Park, Town Center Mall, Royal Palm Plaza, and the seemingly endless nearby opportunities for entertainment, dining, shopping and recreation. We are also very close to I-95, Federal Highway, Glades Road, Military Trail and it seems easier to get to most of our destinations. The view from our last golf course home. Don't get me wrong, we very much enjoyed our time "out West" while raising our family, but I think our migration pattern is eastward from here on. 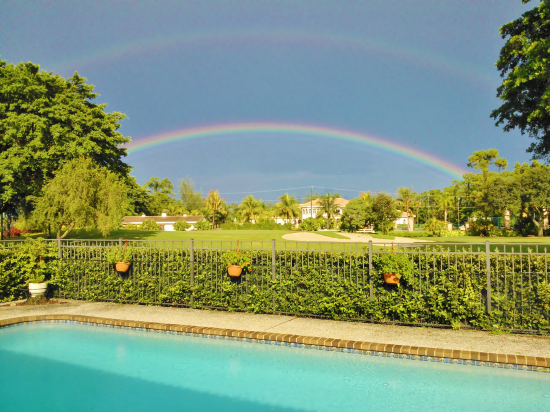 It was great living in West Boca, and we loved our last home on the golf course - see photo above. 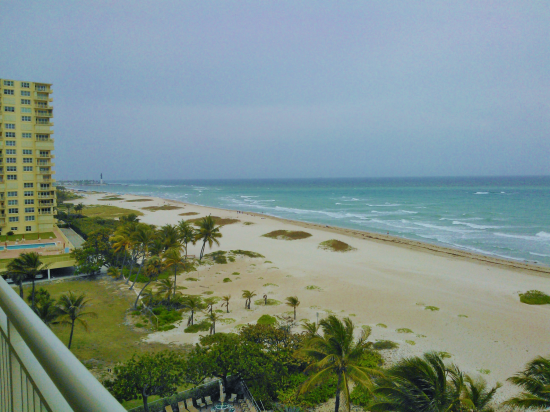 When our nest is yet smaller, maybe we'll get an oceanfront condo on the beach or a condo with views of the Intracoastal Waterway. 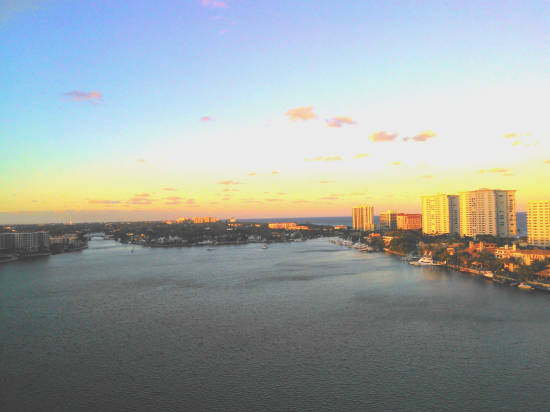 This might be our Intracoastal Waterway view from our next beachfront condo. I welcome you to contact me for a no obligation consultation. I'm here to help. Contact me for a no-obligation consultation about your home's value and your next home search.